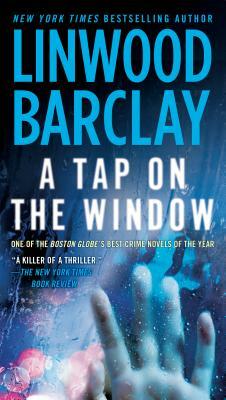 One of the Boston Globe's Best Crime Novels of the Year! One of Suspense Magazine's Best Books of 2013! Since private investigator Cal Weaver’s teenage son died in a tragic accident, Cal and his wife have drifted apart. Cal is mired in a grief he can’t move past. And maybe his grief has clouded his judgment. Driving home one night, a rain-drenched girl taps on his car window and asks for a ride. He knows a grown man picking up a teenage hitchhiker is foolish—but he lets her in. Cal soon senses that something’s not right with the girl or the situation. But it’s too late. He’s already involved. Drawn into a nightmare of secrets, lies, and cover-ups in his small, upstate New York town, Cal knows that the only thing that can save him is the truth. And he’s about to expose the town’s secrets one by one—if he lives long enough. Linwood Barclay is the #1 international bestselling author of eleven critically acclaimed novels, including Trust Your Eyes, which has been optioned for film, Never Look Away, which has been optioned for television, and No Time for Goodbye.